Fresh and light Raspberry Chambord Gin Fizz is a bright cocktail sipper that tastes like spring! 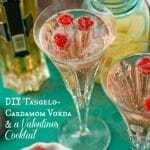 I haven’t shared a new cocktail recipe since the holidays and with Valentine’s Day coming quickly, a fun little idea popped to mind! Raspberry Chambord Gin Fizz. 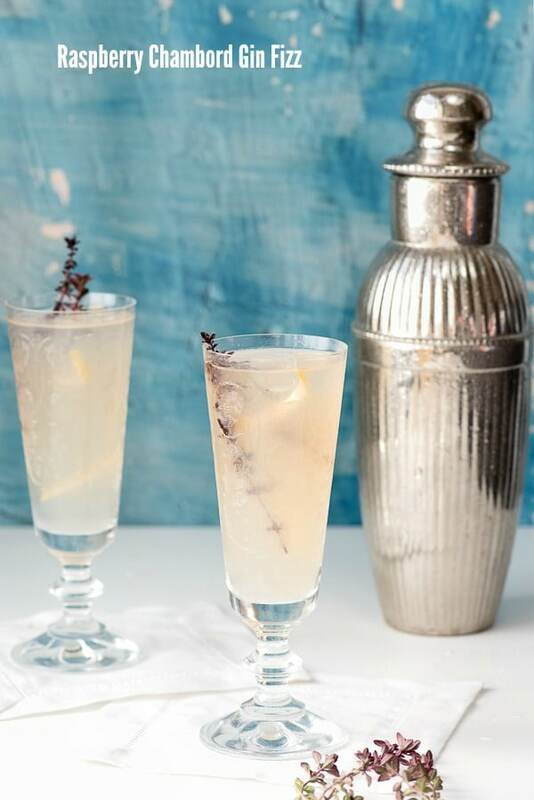 This fresh cocktail is simple to make. It is light and somehow tastes right for this time of year to me. I think the holidays are full of over indulgences. Rich, heavy foods. Calorie-laden desserts. Ample cocktails and champagne toasting. For me, I hit a wall after New Year’s Day and don’t want to think of any of these things until the next holiday season. I’m fully saturated by January 1. In fact I generally don’t think much about cocktails either. I feel assaulted by drinks that are too boozy or heavy after the holiday celebrating. Maybe that refreshed, healthier eating we tend to do in January takes a hit on Happy Hour too! 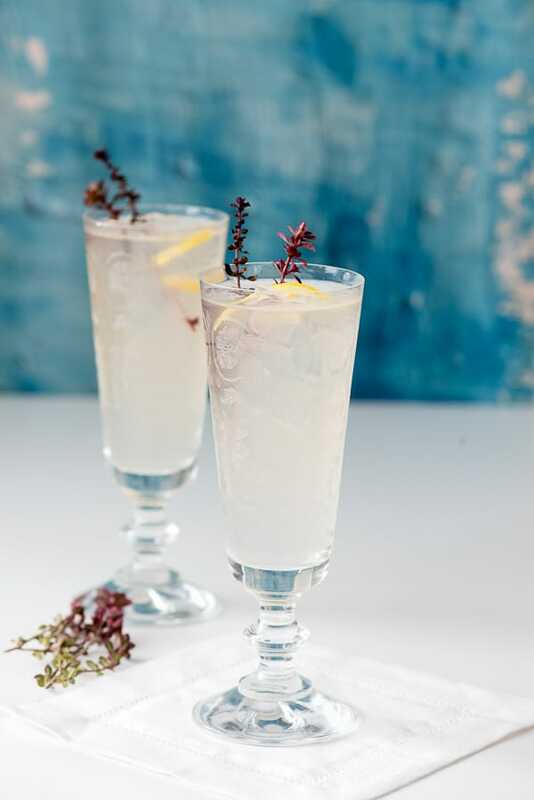 There are many ways to make a Gin Fizz cocktail. 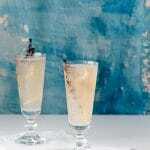 Some recipes use an egg white to produce that frothy head on the cocktail but many, this version included, get the fizz out of club soda alone. Some versions include some sugar to sweeten the cocktail up. I bypassed that, getting some sweetness from the addition of Chambord liqueur instead. The cocktail is simple. Gin, lemon juice and Chambord shaken with ice and strained over new ice. It’s light, bright and fresh-tasting. Raspberries can be used for garnish if desired (I added some auburn thyme sprigs from my garden and thinly sliced lemon peel). When making a cocktail with a cocktail shaker there are many options you can use. They don’t have to be fancy or expensive either. A quart size Mason jar with a lid works great. I have multiple shakers, all with a built in strainer (I’m not coordinated enough to use a professional bartender’s cocktail shaker) In fact I bought this one recently which combines the benefits of the glass (you can see what is going on) and the strainer in one! 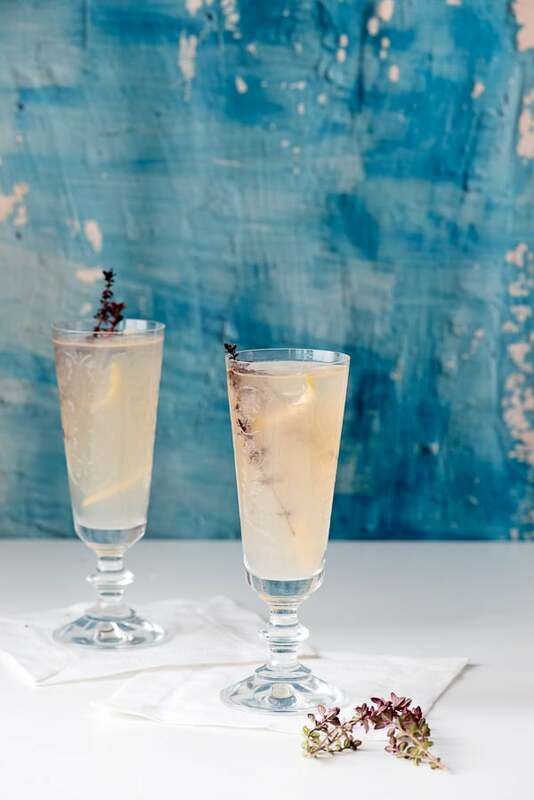 This Raspberry Chambord Gin Fizz recipe is great any time of the year for a light, refreshing, sparkling citrus cocktail. 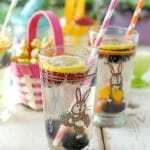 Easy and quick to make! This cocktail is fresh and light, citrusy with a hint of raspberry. 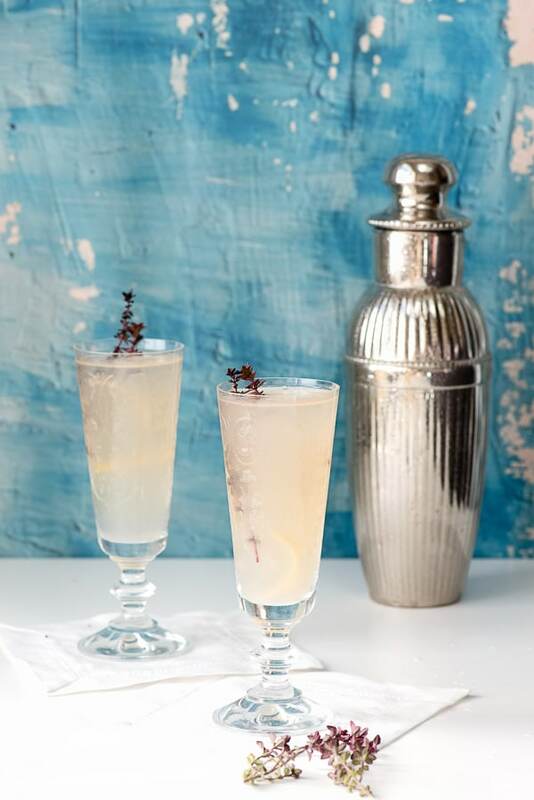 It takes it's effervescence from Club Soda and does not include an egg white or sugar as with some versions of Gin Fizz cocktails. 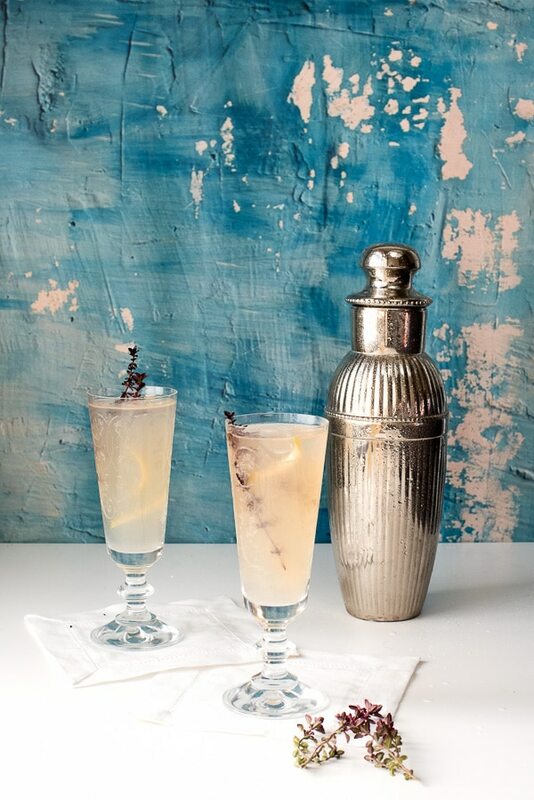 Combine the gin, lemon juice, Chambord and a cup of ice in a cocktail shaker. 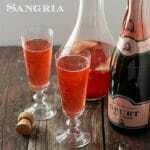 Shake vigorously and strain into 2 8-10 ounce Old Fashioned glasses filled with fresh ice; fill with Club Soda. It’s just so pretty! I can imagine it being a lovely addition to a Gal=entine’s Day celebration with friends also. 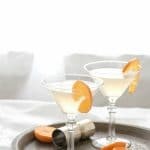 This drink is sure to get loves of raves from party guests, or even family members during gatherings and reunions. I am glad you did not use egg whites. I don’t like anything raw in my drink anyway. Saving the recipe. Thanks. I’m not a drinker but this sounds refreshing and very different. Would love to sample this or have it available at a get together! What a beautiful cocktail! It is so classy, perfect for a brunch!! I plan on sharing this with my sister-in-law; her husband is a gin drinker. I think he would be pleasantly surprised by one of these drink delights. This looks like a great option for a get together. I see many fun events in your future. This looks so pretty! I don’t like drinks that use egg whites to get the froth, so this one would be more my style. Awww yeah. I like a good cocktail. I feel better about my booze when I keep it classy. I can’t wait to try this. I like a cocktail like this that isn’t too full of all kinds of different flavors. It’s just a crisp, tasty drink. This sounds like my kind of drink. Nice and light – and delicious.